Always wanted to be a bit more like Willy Wonka? Or maybe the witch from Hansel and Gretel? 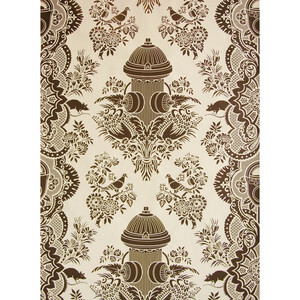 Make your house a bit more magical with cherry and chocolate scented wallpapers. The cherry paper is pretty self-explanatory, but the chocolate is the one I truly love. The damask pattern hides modern city park images like fire hydrants, parking meters, rats and pigeons. It would pretty much be the coolest paper for a study/office/reading nook. The paper comes in sheets that will cover 10 square feet. Scented City Park, $75 at Fab.com. 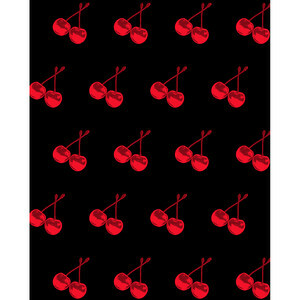 Scented Cherries, $85 at Fab.com.